Ummu Ammarah RA is one of those Ansar women who accepted Islam in the very beginning. She was among the group that pledged loyalty to Nabi SAW at Al-Aqabah. Al- Aqabah in Arabic means a narrow mountain road. In the early days of Islam, the new Muslims were ill-treated by the Quraish very badly. They would put all sorts of difficulties in the way of Tabligh. Therefore, Nabi SAW carried on his work quietly and secretly. People from Madinah Munawwarah who used to come to Makkah Mukarramah for Hajj usually accepted Islam secretly in a mountain road near Mina, so that the Quraish might not see them. Ummu Ammarah RA was in the third such group from Madinah Munawwarah. She joined most of the battles that were fought after Hijrah (migration). She took an important part in Uhud, Hudaibiyah, Khaibar, Umratul Qadha, Hunain and Yamamah. In the battle of Uhud, she was forty-three years old. Her husband and two sons were also fighting in this battle. She took a leather bottle full of water and headed for Uhud to help the wounded and the thirsty. 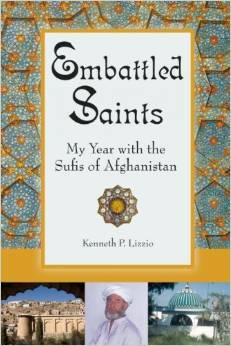 In the beginning, the Muslims were winning, but things changed in a moment and the enemies were in a winning position. She had reached Nabi SAW, when wave after wave of enemy troops rushed to attack and kill him. She protected Nabi SAW whenever anybody approached him. She had a cloth-belt round her waist, full of pieces of cloth, with which she cared for the wounded. She herself got about twelve wounds, one of which was very serious. At that time, Nabi SAW prayed again and again for Ummu Ammarah RA and her family. 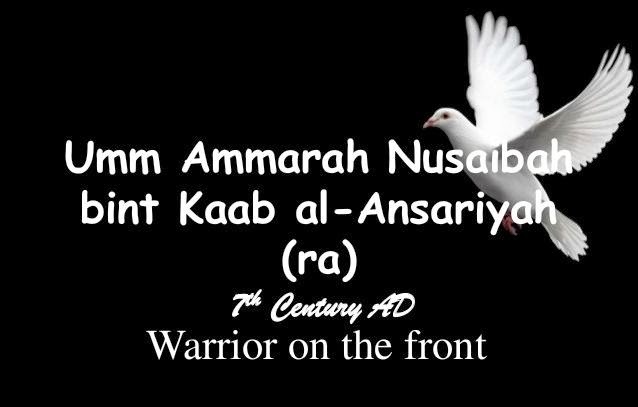 Ummu Ammarah RA said, “I was standing with Nabi SAW when one of the enemies passed by in front of me. Nabi SAW said to me, ‘UmmU Ammarah! He is the man who wounded your son.’ I jumped at him and hit his leg. This caused him to fall down. As has already been said, she also joined many other battles with the same keenness and courage. After the demised of Nabi SAW , she took part in the fierce battle of Yamamah, which was fought with the rebels. She lost one of her arms and received eleven other wounds in this battle. She was forty-three in Uhud and fifty-two in Yamamah. Her great courage in these battles at that age was really amazing. Lessons Learned from the Life of Umm Ammarah R.A (THE PROPHET’S SHIELD AT UHUD). The typical Muslim woman, shrouded from the world, lives her life in obscurity in the service of her husband and children. Seeking no recognition and having no personality or ambitions beyond the pleasure of her family she lives and dies leaving no mark on the pages of history. She is of course oppressed, neglected and possibly abused. That’s how the mainstream media of the western world degrade the role of Muslim women for many decades. “But that is not true!” you cry out. These statements infuriate us, but a large number of people, Muslims and people of other faiths, believe these myths to be true. As the knowledge of the Deen receded through the years of colonialism, we lost touch with the real heroes and heroines of Islam and replaced them with worthless icons from the popular media. To destroy all stereotypes we need to study the life of just one of these amazing women: Umm Ammarah, Naseebah bint Ka’b al-Maziniyah al-Ansariyah. As you sit in the comfort of your home and read about her life, you will weep. You will than filled with pride at her accomplishments and shame at your own inadequacy. You complain about your mountain of laundry and the house hold chores , while she climbed a mountain to defend the Messenger of Allah SAW. Your struggle to give your children a Muslim identity, while her son defied Musaylamah the Liar even as he cut off piece after piece of his body and martyred him. The slightest insult from a friend or acquaintance leaves us emotionally traumatized and useless for days. She received close to a dozen wounds in just one battle and, when fighting at the age of sixty, she lost her arm. Love Allah and His Messenger SAW. In my research I could not find a direct quote recorded from Umm Ammarah RA. So with any kind of writing, memoirs with regards to the toils of blood,sweat and tears of Ummu Ammarah RA just like the other among the Ummu Mukminin that we are very much familiar with. Her life is a testimony to her deep love for Allah and His Messenger sal Allahu alayhi wa sallam and this is the most important lesson we can learn from her. The first time the spotlight of history falls on her she is part of a delegation that has come from Madinah to secretly meet with the Prophet SAW. It is the 13th year of Hijrah and a group of over seventy men and two women is making its way to Aqabah. One of those women is Umm Ammarah RA. She chose to travel with her husband on this crucial mission and did not linger behind. The women swore allegiance when the men swore allegiance. The Prophet SAW did not admonish them for accompanying the men. In fact the oath of loyalty was the same for the men and the women except that out of respect the Prophet SAW did not hold their hand. He touched their hearts and they dedicated their lives for the service of the Deen. She could have stayed at home and waited for her husband to inform her about the Messenger SAW, but Umm Ammarah was not of those who stay behind. Seize the moment when Allah SWT gives it to you. A few years pass in which significant events of Islamic history unfold: the Prophet SAW migrates to Madinah, the Islamic state is established, the battle of Badr takes place and then comes the battle of Uhud and the turning point in the life of Umm Ammarah RA and her whole family. Allah SWT gives her an opportunity and she seizes it. Initially the Muslims are winning, but the tide turns when the archers that the Prophet SAW had placed strategically on the hill of Uhud with instructions not to move under any circumstance, suddenly abandon their posts. This gives an opportunity for the enemy to attack from the rear. The Muslim army is suddenly surrounded and chaos ensues. Do everything as a family. Just as at the time of the Second Pledge of Aqabah, the family of Umm Ammara RA is together on the day of Uhud. Umm Ammarah’s two sons, Habib and Abdullah and her husband rush to where the small group of Sahabah stand to defend the Messenger of Allah SAW. Abdullah and Umm Ammarah are both wounded in the fighting. When her son is injured and blood gushes out from his shoulder, she ties up his wound and tells him to keep fighting and when she is injured, the Prophet SAW calls out to Abdullah RA to help his mother. Despite their injuries neither of them abandoned the defense of the Prophet SAW, and keep fending off the onslaught of the disbelievers. A guarantee of Paradise in the company of the Messenger Rasulullah SAW for the whole family! She could have asked merely for her own salvation but even at that point she is not selfish and includes her family in her prayer. She earned for her family Paradise. We can at least save ours from the fire, if Allah wills. Remain a grateful servant of Allah. The Sahaba and the sahabiyat also acquired this characteristic of Shukr (gratitude). The family of Umm Ammarah RA did not cease to strive in the way of Allah SWT after receiving the guarantee of Paradise. 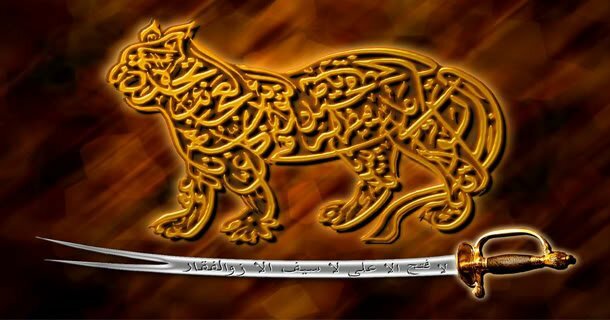 When the Muslim army set out at the time of Saidina Abu Bakr RA to fight Musaylamah, Umm Ammarah RA at the ripe old age of sixty requested the Khalifah and joined them. She lost her arm in the battle but had the satisfaction of seeing the dead body of the man who defied the Messenger of Allah SAW and tortured her son. Would any of us strive so hard and sacrifice so much, after receiving the promise of Paradise? Umm Ammarah RA, may Allah be pleased with her, was a woman of exemplary courage and her life carries so many lessons for us.